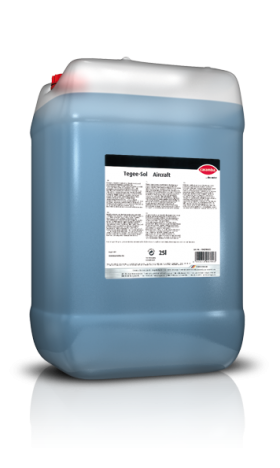 pH-neutral, disinfecting, deodorizing and antistatic internal aircraft cleaner. 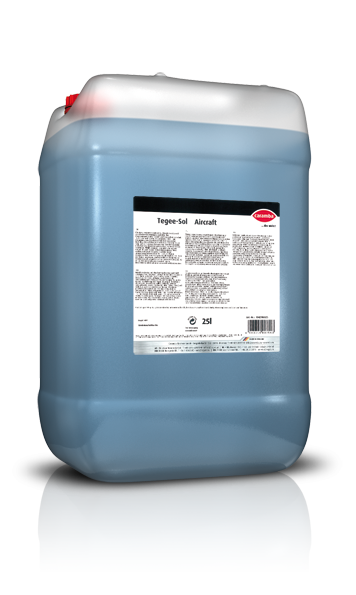 In the night stop as a disinfecting cleaner for the galley (cabinets, storage compartments, waste container), lavatory (toilet seats, wash stand and basin) and cabin (folding tables): dilute 1:5 to 1:20 with water. For transit cleaning for all surfaces: dilute 1:10 to 1:20 with water. For disinfection: dilute 1:10 with water, spray until the surfaces are well wetted (approx. 10 ml per 100 cm²) and allow to react for at least 1 minute.